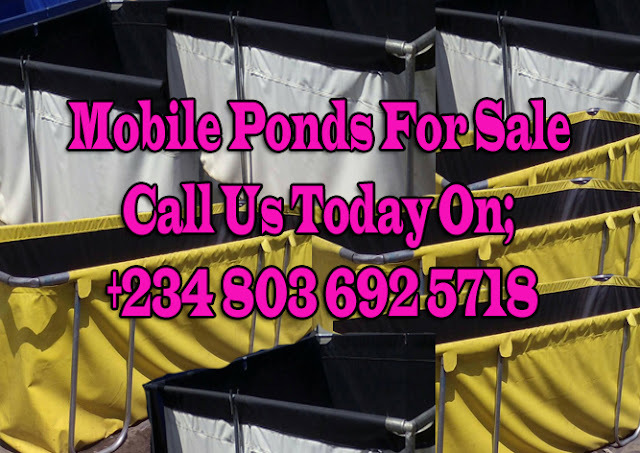 Cheap Mobile Tarpaulin Fish Ponds For Sale has taken over Earthen or Concrete pond. Ponds now are Collapsible for land management and easy to move to any location. As a matter of facts, the agro-allied industry has taken a new look. More especially the fish farming industry which has experienced a revolutionary growth in recent years. Fish conversation on our water bodies has opened up fish culturing in homes and farms now. 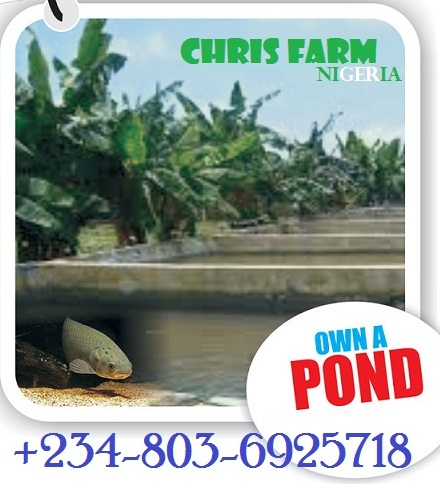 Millions are now made with easy at our comfort zone via fish farming. There have been legislations in several countries aimed at regulating the way fishing is done. Certain waters are restricted to fishing trawlers due to the alarming drop in the fish population there. The above have opened up innovations alternative in fish rearing. 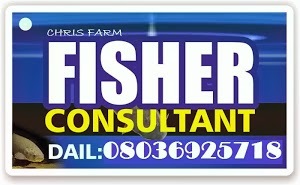 Farmers now rear fishes on Mobile Tarpaulin Fish Ponds, Concentrate ponds, Earthen ponds and others. Collapsible Mobile Fish are fish pond made primarily from materials that consist of PVC tarpaulin material, These are supported by metal reinforcements to give it a balance on the ground. These Collapsible Mobile Fish ponds are easily foldable and easy to move about. Farmers in cities use more of Collapsible Mobile Fish ponds. 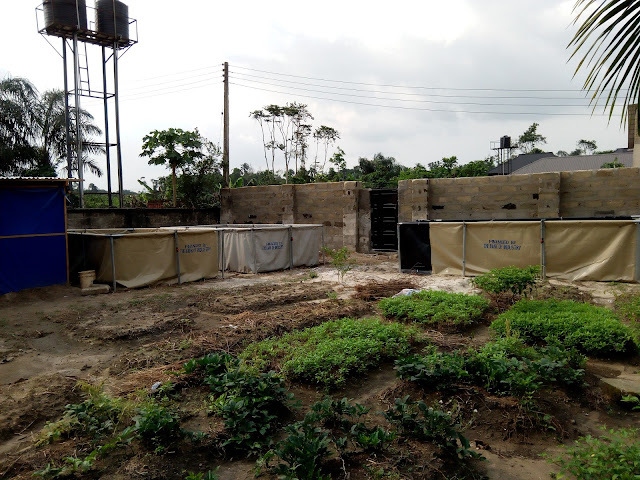 Are you living in the city, rented apartment or a compound that is well tiles or cemented? 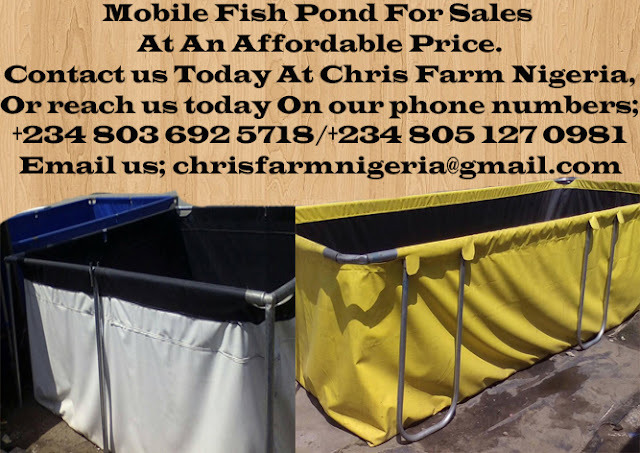 Collapsible Mobile Fish pond is a perfect option for you, in going into fish farming. Furthermore, Collapsible mobile Fish ponds are very easy to install. 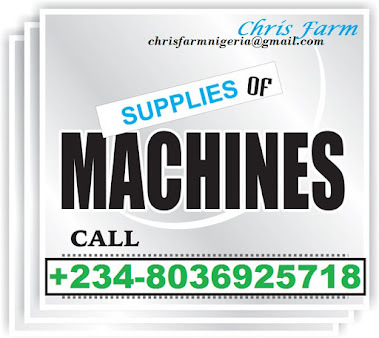 Alternatively, farmers with low technical knowledge, as they come with all the necessary installation information (installation manual) to provide the needed help. 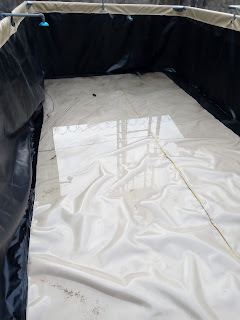 The materials used in the manufacture of the collapsible mobile polygon fish pond greatly enhances its durability as damages that result through fire incidents do not affect it. Also, it does not support harmful bacteria that may affect the fish. Another feature that makes it stand out is its resistance to acid and alkali reactions. The Collapsible Mobile Fish pond has very unique characteristics that easily stand it out from other mobile fish pond options. These include its thermo stable nature, added to its being non-toxic and cold resistant. These solve some of the challenges faced by fish farmers the world over. The durability of the collapsible mobile fish pond is an added advantage to fish farmers. It designed from materials meant to last. Apart from this, its appearance is also aesthetically appealing. Collapsible Mobile Fish Pond come at different shapes and sizes depending on the choice of the buyer or fish farmer. The sizes range from the small to the large, while its shape could be either rectangular, square or round. Whatever the shape or size, they are all reinforced by metal supports. It is easily foldable and movable too. Likewise, Collapsible Mobile Fish Pond have varying water holding capacities. These range according to their sizes. The smallest collapsible mobile polygon fish pond typically holds a little over 90 gallons of water, while the largest size typically holds a little above 1506 gallons of water. Between these, there are other available sizes. This Collapsible Mobile Fish Pond is an efficient way of rearing fish especially for fish farmers who do not have permanent residents, as it provides the ease of easy installation and dismantling. This makes it a highly desirable fish farming equipment among farmers. Our product have a fair price, When compare to others. Being Easy to Setup/Assemble: This feature makes the collapsible mobile fish ponds an easy alternative for fish farmers with low technical knowledge, as they come with all the necessary installation information (installation manual) to provide the needed help. Fireproof, Antibacterial and Acid/Alkali Resistant: The materials used in the manufacture of the collapsible mobile fish pond greatly enhances its durability as damages that result through fire incidents do not affect it. Also, it does not support harmful bacteria that may affect the fish. Another feature that makes it stand out is its resistance to acid and alkali reactions. Non-Toxic, Thermo stable and Cold Resistance: The collapsible mobile fish pond has very unique characteristics that easily stand it out from other mobile fish pond options. These include its thermo stable nature, added to its being non-toxic and cold resistant. These solve some of the challenges faced by fish farmers the world over. Durability: The durability of the collapsible mobile fish pond is an added advantage to fish farmers. It designed from materials meant to last. Apart from this, its appearance is also aesthetically appealing. Its Shape and Size Collapsible mobile fish ponds come at different shapes and sizes depending on the choice of the buyer or fish farmer. Size; The sizes range from small to large, depending on customer prescription. Whatever the shape or size, they are all reinforced by metal supports. It is easily foldable and moveable too. Water holding capacity; The Water Holding Capacity of the Collapsible mobile fish ponds varies with the size you are buying. Efficient way of rising fish; The collapsible mobile fish pond is an efficient way of rearing fish especially for fish farmers who do not have permanent residents, as it provides the ease of easy installation and dismantling. This makes it a highly desirable fish farming equipment among farmers. In order to get one at a fair price, it is advisable for farmers to compare the prices of this product across vendors. As a matter of facts; the use of collapsible mobile fish pond is ideal for all urban dwellers, and it’s another easy way to raise your own fish in your own comfort zone. These mobile fish ponds are ideal for your both front yard and back yard fish farming. The use of the mobile ponds is cheaper compared to concrete tanks. It is an ideal pond for all starter or anyone who wants to start in a small way. 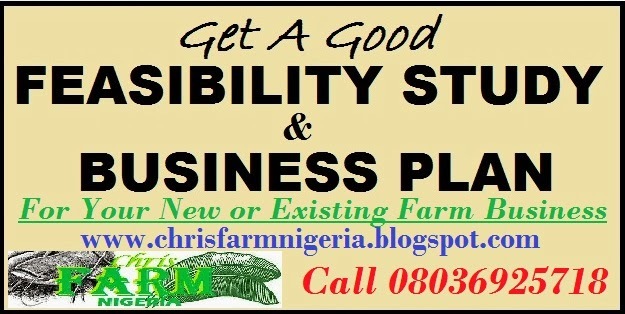 On the issues of grant, and government financing issues, Chris Farm Nigeria has written several thousand business plans and feasibility reports for candidate who finally won the competitions and also got the fund on the long run. 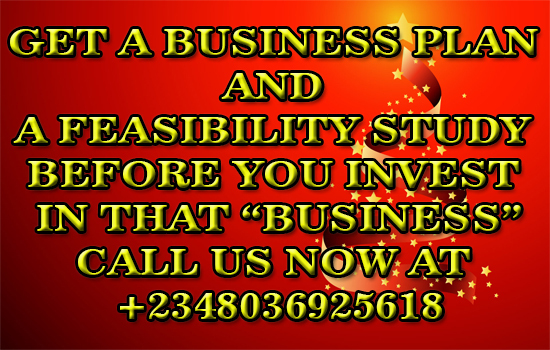 Instant of going around, and putting yourself on the horns of dilemma, Specialist can help you do the job.